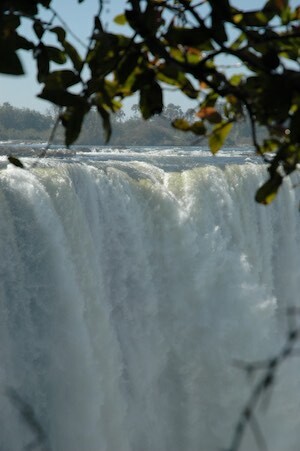 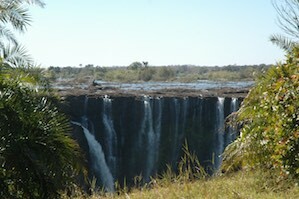 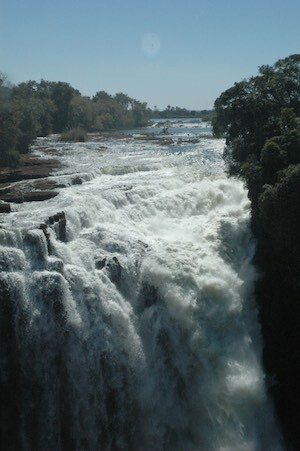 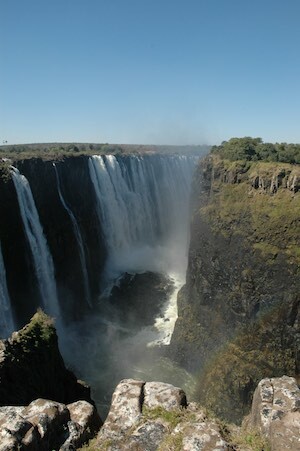 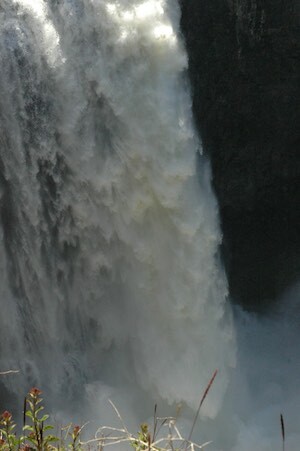 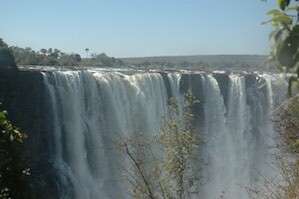 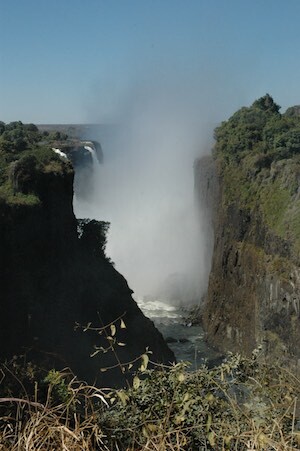 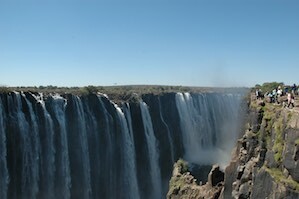 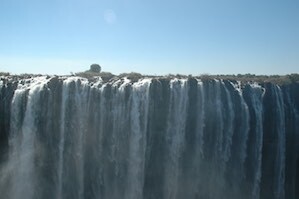 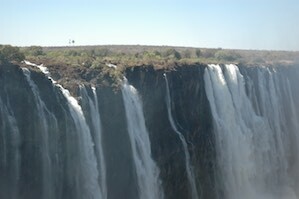 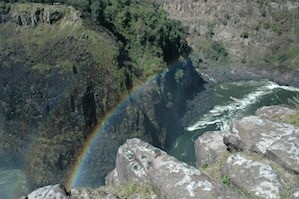 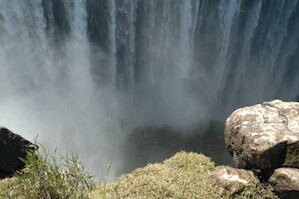 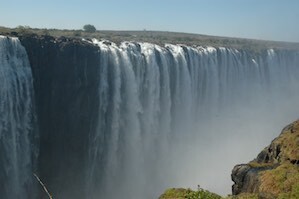 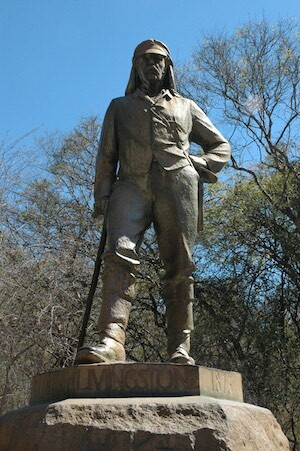 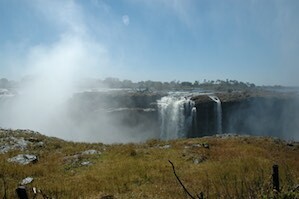 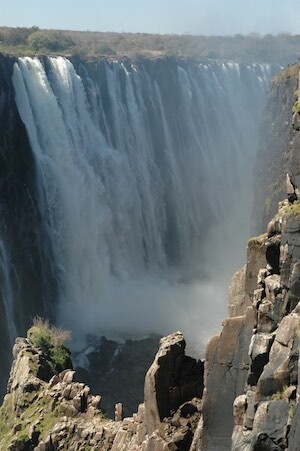 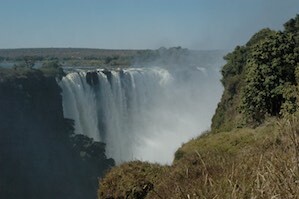 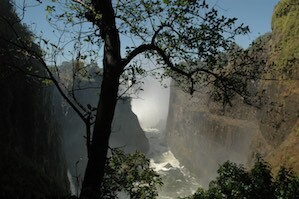 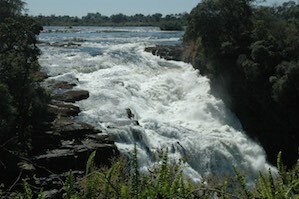 Victoria Falls can be visited from Zambia or Zimbabwe, although the best views are arguably on the Zimbabwean side. 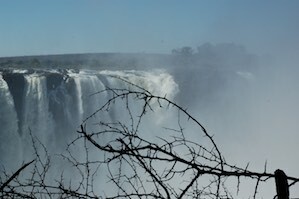 We stayed at the famous Victoria Falls Hotel, which was definitional of “faded glory” after decades of kleptocracy. 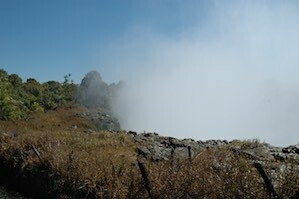 The building was somewhat forlorn, but still commands the best view of the falls and the river gorge. 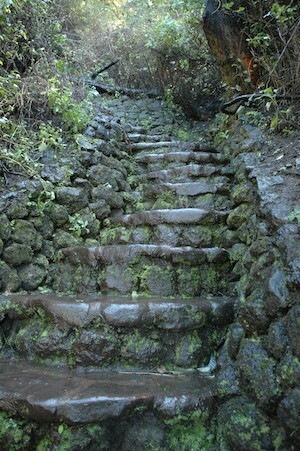 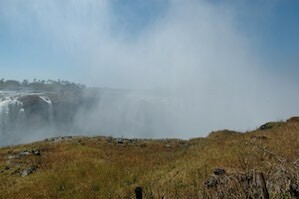 From the lawn it’s a short walk to the falls proper (dodging touts the entire way). 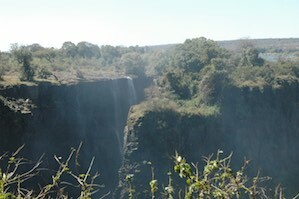 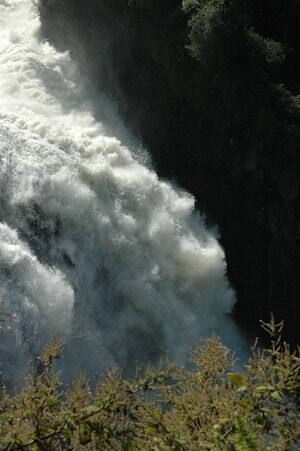 The falls are spread out and narrow, not grand and open like Niagara. 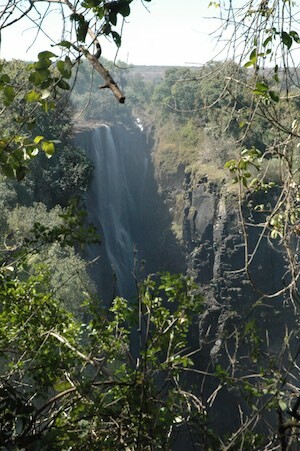 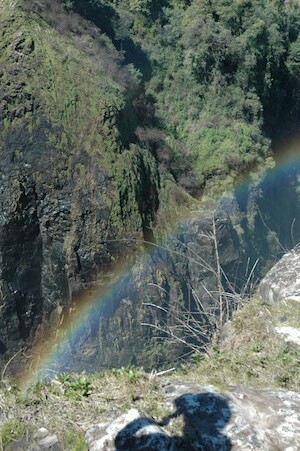 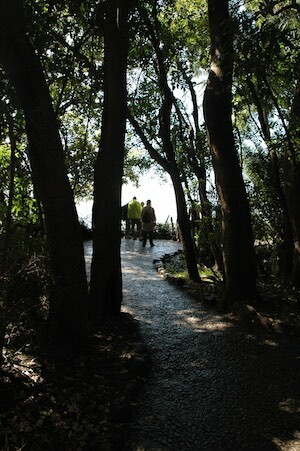 There is a walkway along the opposite edge of the gorge, and you catch glimpses of falls between the trees or from lookouts. 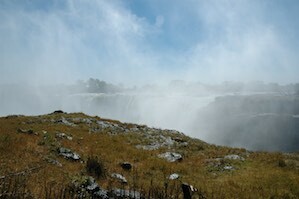 It is mostly notable for the incredible spray, like being in a rain shower. 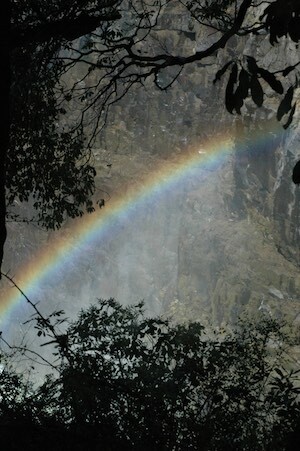 It’s hard to capture on film, but simply lovely and constantly surprising.